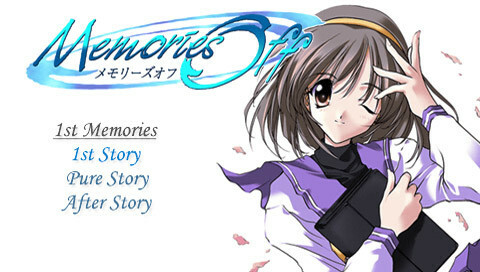 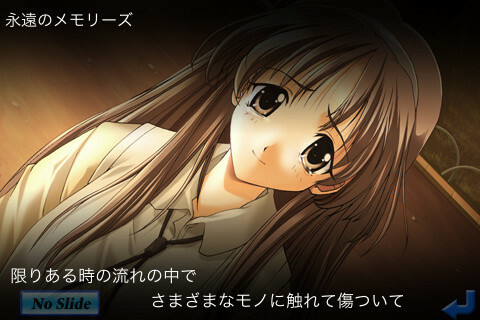 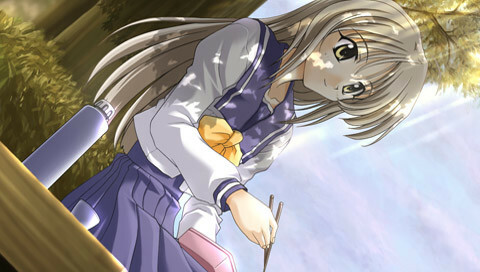 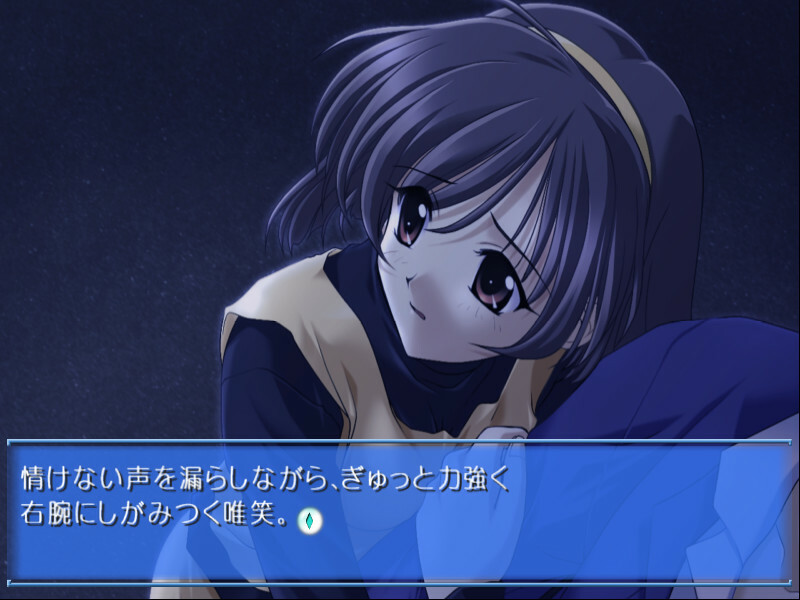 It's a surprisingly bittersweet tale about a guy named Tomoya Mikami who actually was dating the girl of his dreams, Ayaka Hizuki, for a long time...only to have her die tragically a good while before the game starts. 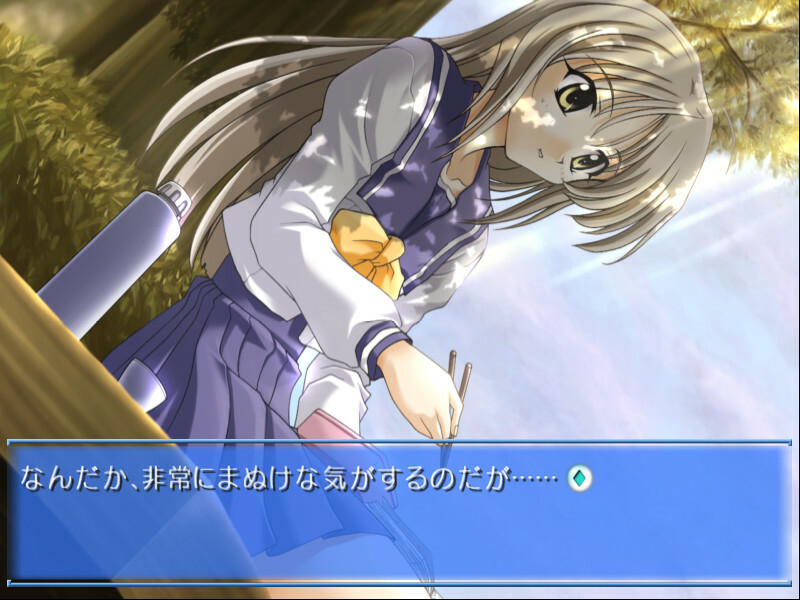 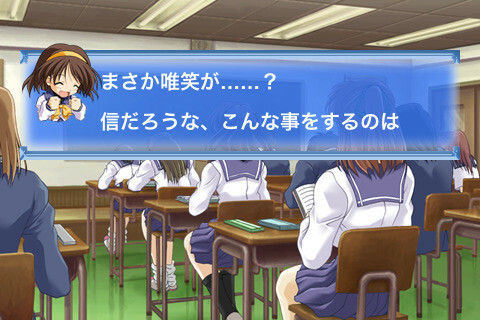 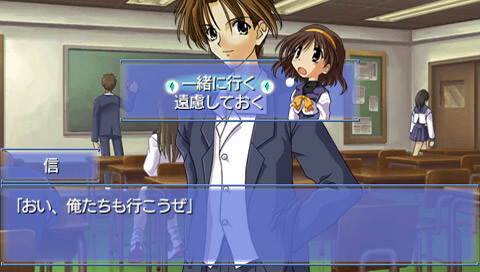 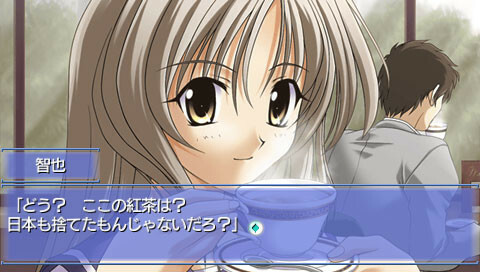 The game even begins with Tomoya having a flashback about Ayaka whilst walking to the train station to get to school. 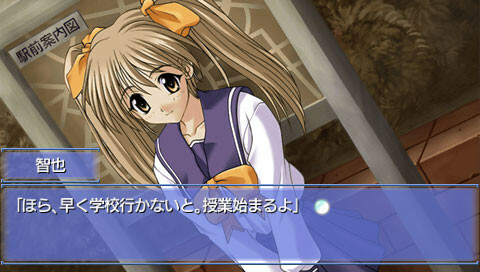 On the train, as usual, is Yue Imasaka - a close friend of Tomoya and Ayaka who pretty much grew up with them. 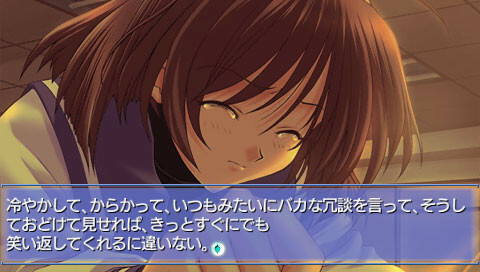 The gist of the story is that Tomoya feels that he's spent enough time grieving over the loss of Ayaka and is ready to try his hand at love again and hopefully find another wonderful girl to make beautiful memories with. 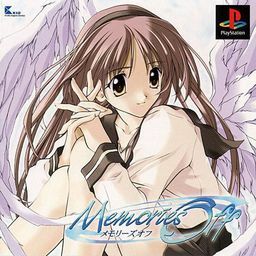 AyanePSP OP "Eien no Memories"
Mizuki NanaYukihotaru ED "Tooi Kono Sora kara"
Yamamoto MariaOP "Ki no Tsubasa" and ED "This may be the last time we can meet", Duet OP "Yuuki no Tsubasa"